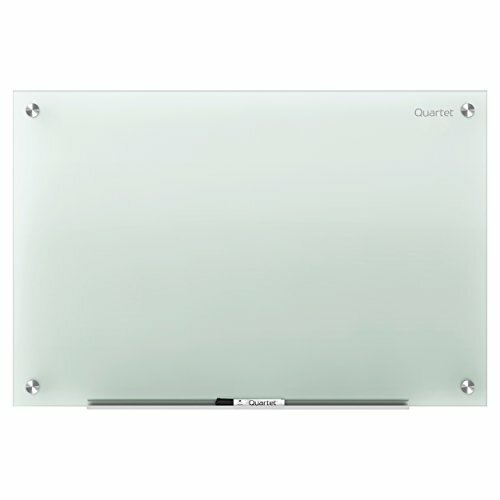 Ultramodern, tempered glass surface whiteboard delivers high quality performance. Durable, frosted finish glass provides a smooth writing platform that erases cleanly after every use to prevent ghosting and staining. Write with any dry-erase marker. Less porous and absorbent than standard whiteboards, this board will maintain its impressive appearance for years to come even under frequent use. This frameless board is a good fit for any contemporary office. Hardware is included for simple and secure wall mounting. Occasional cleaning is recommended for best performance. 15-year warranty.